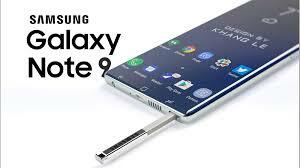 Home » News » Samsung Galaxy Note 9 Swinging August 9, 2018? Samsung Galaxy Note 9 Swinging August 9, 2018? A recent update from Bloomberg said that Samsung is likely to schedule the launch of its newest generation phablet, the Samsung Galaxy Note 9 on August 9, 2018, at a press conference at the Samsung Unpacked event held in New York City. The news comes from the anonymous source also mentioned that Samsung Galaxy Note 9 will be introduced about two weeks earlier than the actual event schedule, if it is based on the schedule of the launch of the previous generation Note that Galaxy Note 8 held at the end of August 2017. Samsung party has so far not confirmed the truth of the rumors of the launch date of Samsung Galaxy Note 9. However, based on some leaks, mention that the phablet will have a camera and processor specifications more improved than its predecessor. There is no further details related to the series or modeal processor that will be used, but the possibility of the processor that will be used is Qualcomm Snapdragon 845, which is an improvement compared to the chipset used Snapdragon 835 predecessor that runs in Galaxy Note 8. In the photography department, there is a possibility Samsung Galaxy Note 9 will be equipped with dual main camera and may include variable aperture features found in the Samsung Galaxy S9 series. Actually rumors about the launch schedule of Samsung Galaxy Note 9 had sounded since some time ago. As at the beginning of this pecan, Samsung is reportedly considering to slightly delay the launch of Samsung Galaxy Note 9. This is due to changes in the design of smartphones. So as to reduce the thickness of the glass that protects its OLED display that has a thickness of 0.5mm. The latest news says that if it is true that the Samsung Galaxy Note 9 will be launched on August 9th, then maybe the latest generation phablet Samsung will be sold in late August 2018. 0 Response to "Samsung Galaxy Note 9 Swinging August 9, 2018?"